The number of pupils enrolled in Brussels’ European Schools has increased by 8% between 2014 and 2017. The network is currently searching for a location for a fifth school in the Capital Region. The most growth was seen at the school in Laeken (pictured), which welcomed a whopping 23.7% more pupils over the period. That’s because it is the newest school, and parents are encouraged to send their children there, as it has fewer pupils than the other locations. 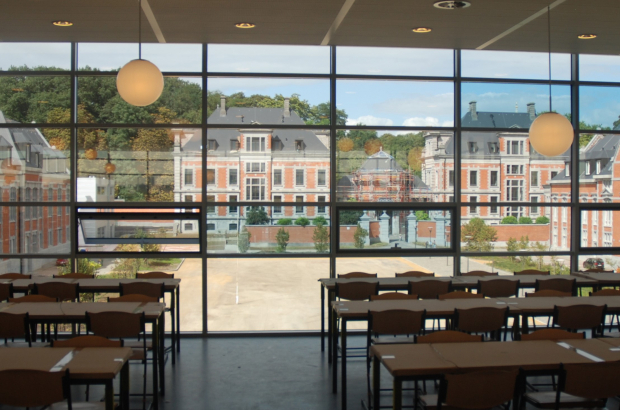 The Laeken school now has nearly 2,780 pupils. The other locations – in Uccle, Woluwe-Saint-Lambert and Ixelles – also saw an increase in pupils, and they all now have a headcount of about 3,000. A location for the construction of a fifth school is currently being sought, but, considering the constant increase in demand, the federal government has promised to find a site for a temporary facility within two years. The secretary-general of the European Schools, based in Brussels, said that a new school should be able to open in the capital by 2024. The European School network was launched in 1953, with the first school opening in Luxembourg City. It was meant as an educational institution for the children of staff associated with the forerunner of the European Union. Today there are 13 European schools, with four of them in Brussels and one in Flanders. The rest are in Luxembourg, Germany, the Netherlands, Italy and Spain. They are open to children of staff associated with the EU, Nato, the UN and some other diplomatic institutions. Members agreed to meet again by the end of September 2017 to analyses key arguments and decide on the way forward. Will the preliminary discussions lead to a final assessment of the situation by the Board of Councils in December 2017?